Since I am a scrapbooker as well as a cardmaker, I thought I would share this dinosaur birthday scrapbook page I made for my granddaughter recently. Her birthday party was dinosaur themed. I used papers from Stampin' Up called It's My Party from last year's catalog, along with coordinating solid colors in Melon Mambo, Crushed Curry, and Mint Macaron. 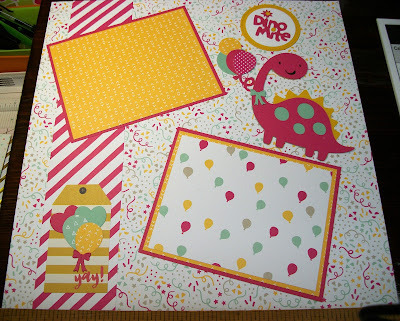 The dinosuar is a Cricut cut from the Create a Critter Cartridge on p. 50, along with the "DinoMite" phrase on p. 51. 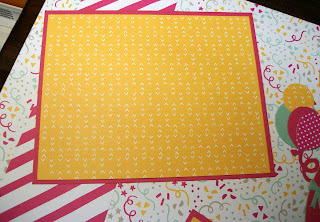 I cut the layers in the same Melon Mambo, Crushed Curry, and Mint Macaron cardstock. 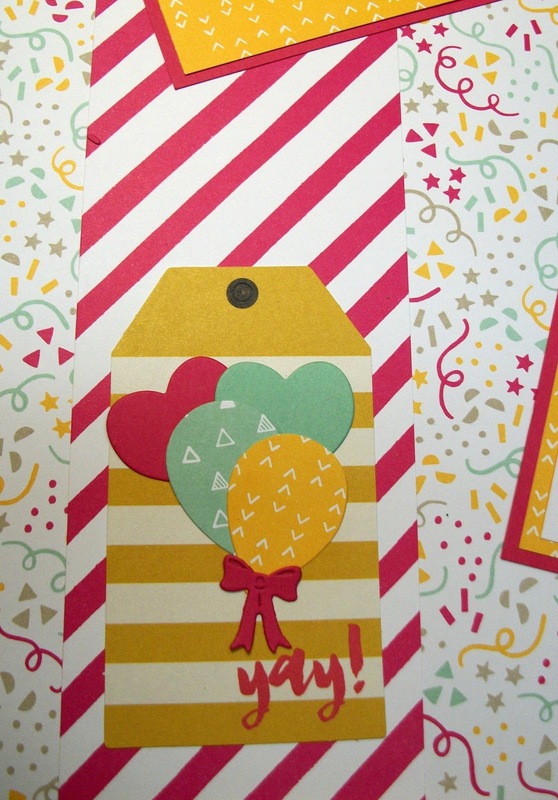 I also die cut some balloons using dies in various shapes in the same coordinating colors and papers. 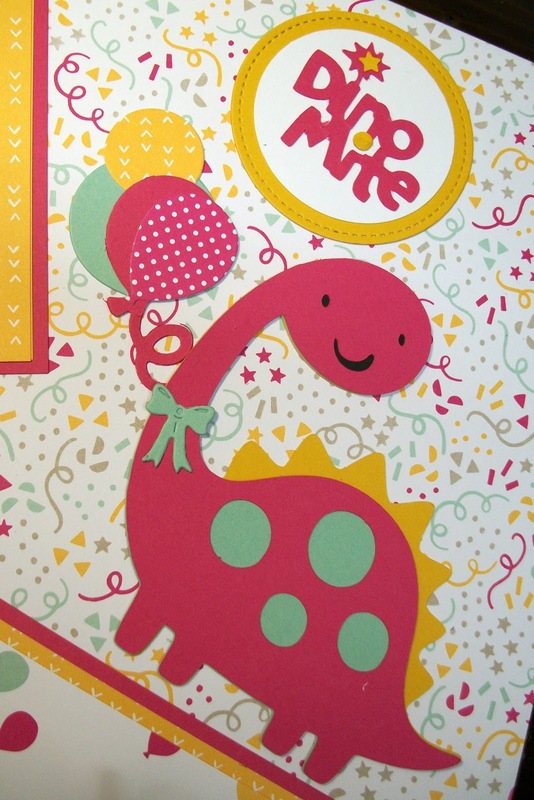 The "DinoMite" is cut in Melon Mambo and layered onto a white circle, and then onto a larger stitched circle in Crushed Curry using the Stitched Framelits by Stampin' Up. The balloons were added to a striped tag I had in my stash. I matted the photos in Melon Mambo and other patterned papers from the stack. 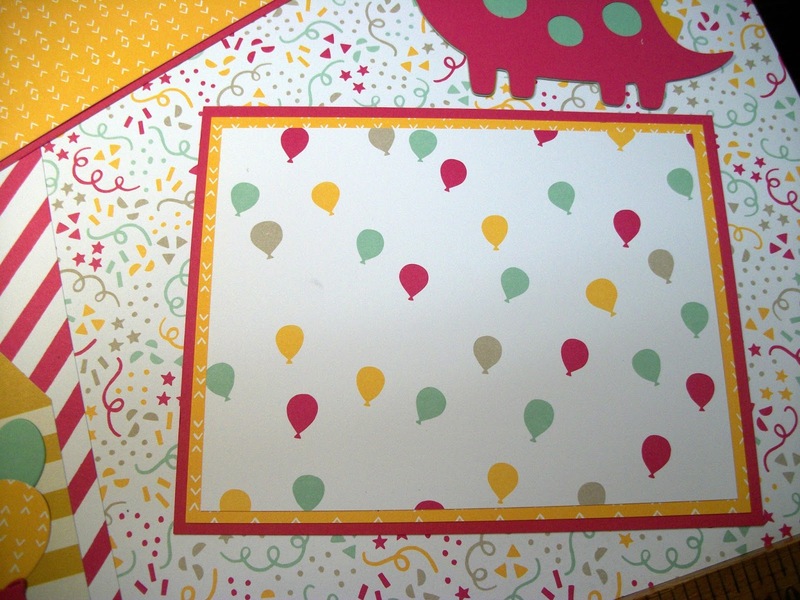 I will try to share more scrapbook pages in the future. Next week I have a cool project for you. I will be recycling some old calendars! I hope you will come back then!